Great news from FONA! 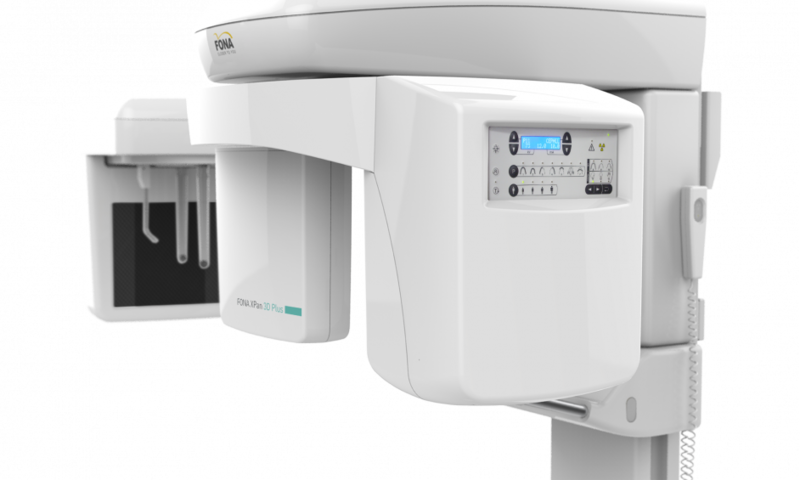 We have just launched FONA XPan 3D Plus – the ultimate diagnostic solution combining Cone Beam CT, Panoramic and One-Shot Cephalometric imaging functionality in one device. It is the ultimate solution for everyone who wants to perform a full range of radiographic exams with a single system. Select between the 2D and 3D exposure programs and take an image by simply pushing a button on the device control panel or remotely from the computer. Switching between sensors is done automatically with no need of manual handling thus saving time and securing your investment. The unit comes completed with a high-performance PC and the latest FONA OrisWin 4.4 imaging software. As a result, FONA XPan 3D is fast, easy to use and ready to deliver a high quality image with every shot! FONA XPan 3D Plus is equipped with a one-shot Cephalometric sensor which minimizes patient movement to acquire the perfect image without blurring or distortions. It is optimized to capture both soft and hard tissue. Owing to these advantages and the short acquisition time dentist workflow and patient comfort are significantly improved. The Phosphor Flat Panel Technology in the Cephalometric sensor, proven in the healthcare sector as durable and robust, has been selected to deliver optimal quality shots. 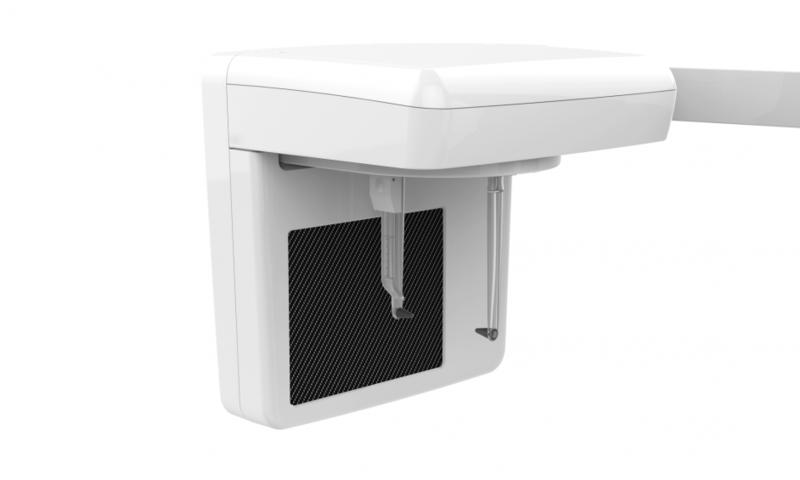 It is also lighter than alternative options which means less load on the arm with less vibrations, easier installation and less overall weight of the unit. With a 16-bit dynamic range and FONA OrisWin 4.4 the Ceph images are processed quickly and offer an excellent grayscale range for accurate diagnosis. FONA OrisWin 4.4 offers 3 predefined filters to choose from to achieve preferred contrast. With its compact size, FONA XPan 3D Plus is the right 3-in-1 solution for every dental clinic that wants to provide a full range of treatments with precise pre-treatment information. One-Shot Cephalometry Sensor – Quickly acquired and distortion-free images are immediately ready to be traced and evaluated, with detailed diagnostic information in both soft and hard tissue. 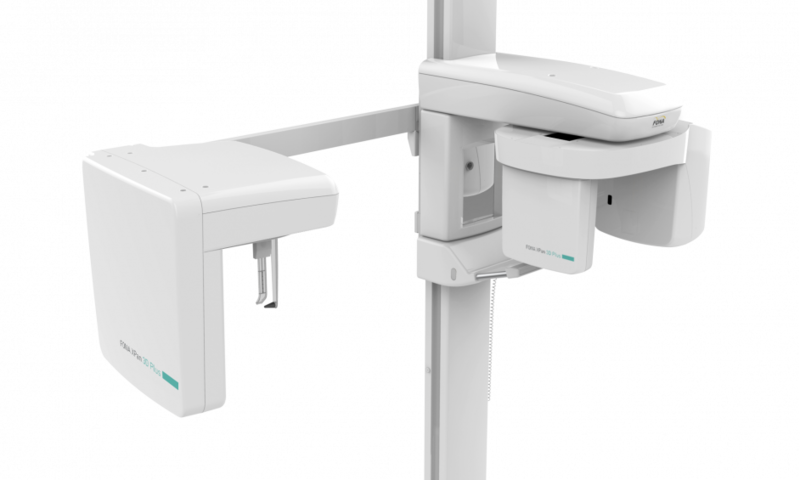 3D Cone Beam volume of 8.5 x 8.5 in just 30 seconds – Advanced 64-bit technology allows you to begin diagnosis in as little as 30 seconds from start of exposure. Mandibular canal and maxillary sinuses are clearly visible in a single exposure. 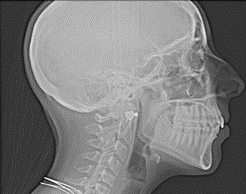 Panoramic programs for all indications – You can select from 7 panoramic programs including Sinus and TMJ. Child panoramic and partial arch scans are available to allow patient dose reduction including Left-side, Right-side and Anterior dentition. 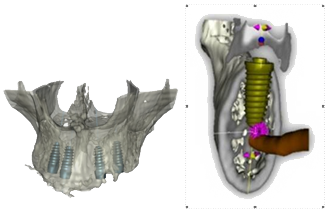 Implant planning at hand – Available implant planning software allows precise preparation of your implant placement and selection from more than 60 different implant brands. Ready in 2 Clicks – Setting of exposure was never easier – 3D, Pano or Ceph in just 2 clicks. Just select the program, patient size and you are ready to go. 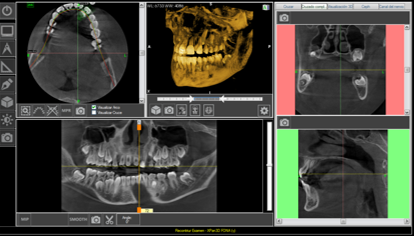 FONA OrisWin 4.4 – Unit comes completed with high-performance PC and the latest OrisWin 4.4 imaging software.